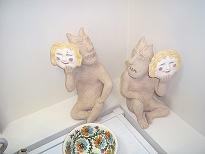 The exhibition was held in M. Hrushevsky Museum in Kyiv in December 2009 – February 2010. 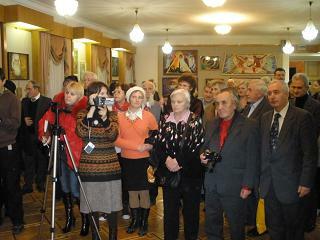 The exhibition was organized by the Museum of 60-ies (director – Mykola Plakhotniuk). 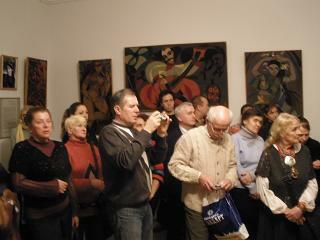 The opening of the exhibition was held 05.12.2009, and the closing was held 02.02.2010 at L. Panchenko’s birthday; artists, art researchers and prominent public figures were present at both events. Виставка “Мистецький світ Любови Панченко” проходила у столичному музеї М. Грушевського з грудня 2009 р. до лютого 2010 р. Виставка була організована Музеєм шістдесятництва (директор – М. Плахотнюк). Відкриття виставки відбулося 5 грудня 2009, а закриття – 2 лютого 2010, у день народження Любови Панченко. На обох заходах були присутні й виступали з промовами відомі мистці, мистецтвознавці та громадські діячі. 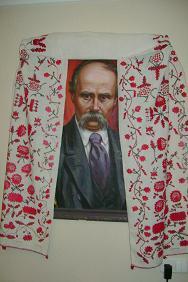 The concert was held in Kyiv Teachers’ House at the day when Taras Shevchenko was re-burried in Ukraine. 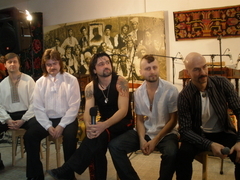 Well-known performers together with young ones took part in the programme as well as former political prisoners Ievhen Sverstiuk and Vasyl’ Ovsienko. 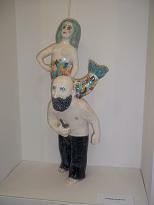 More photos and in higher resolution are here. Вечір відбувся у Київському Будинку Вчителя у день перепоховання Тараса Шевченка – 22 травня. У програмі взяли участь відомі артисти разом з молодими виконавцями, а також колишні політв’язні Євген Сверстюк та Василь Овсієнко. Більше світлин і в більшому розмірі є тут. Аудіоархів mp3; Українські пісні, музика mp3. 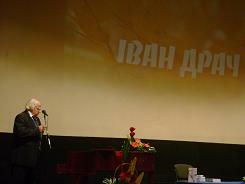 The event took place in Ivan Franko Academician Drama Theatre in Kyiv, 27.04.09. Mykola Yakovchenko’s collegues payed tribite to his memory in his 109th birthday, and the results of the competition among young actors were announced. Olesya Onoprijenko from Simferopol took the first place. 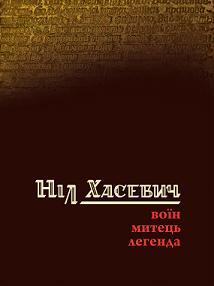 The Presentation took place 10.04.09 in the Cinema House in Kyiv and was devoted to the publication of new Drach’s book – “Slovo” (“The Word”), the book of translations of Drach’s poems into Russian (“Lybid'” publishing house). 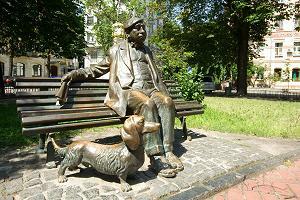 The edition was sponsored by L. Kuchma’s Foundation. Drach’s poems were presented by actors, students and the author himself. 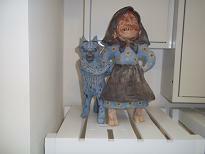 Also there were some songs and fragments of movies where I. Drach participated as a scriptwriter. Photos in larger size are here. The announcements of two art events in Kyiv: 12.01.09 – “Olzhych Forever!” performance, 14.01.09 – The Holiday of “Christmas Vasyls”. Анонси двох мистецьких подій: 12 січня 2009 р. 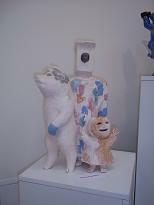 – вистава “Ольжич – назавжди!”, 14 січня 2009 р. – свято “Різдвяні Василі”. My interview for RFERL with Editor-in-Chief of “Pulsary” Publishing House Serhiy Tsushko about the book of the memoires of outstanding Ukrainian dancer Serge Lyfar that was recently published by “Pulsary”. Моє інтерв’ю з головним редактором видавництва “Пульсари” Сергієм Цушком про щойно видану книгу мемуарів Сержа Лифаря “Спогади Ікара”.